I paint from the inside out. Exploring emotional connections and the clash of light and dark, where shadows live within us. Acrylics, markings and collage elements are combined to form layers and texture—creating an intricate landscape upon which concepts are expressed. I am drawn to vibrant color. I don’t shy away from the dark. 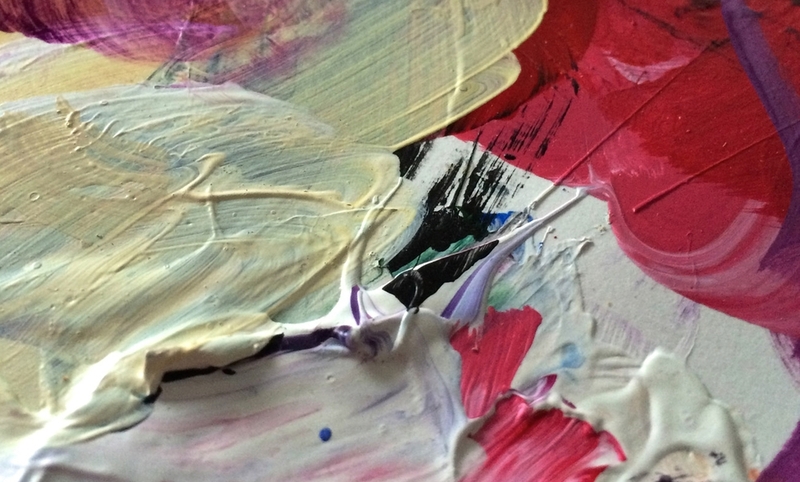 Happy colors lurk and evoke the emotional struggle—a paradox united on canvas. Color creates channels of mood and is an expression of both the concrete and the vague. There is a deep connection with process and expression revealed in the juxtaposition of these two abstractions. A flexibility of both spirit and medium.